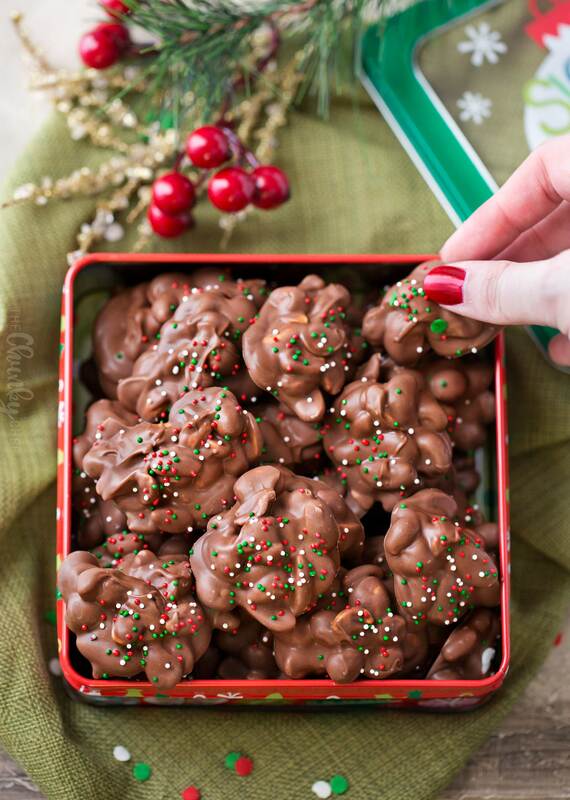 Give your oven a break during the holiday and make this easy Christmas crockpot candy! It only takes 4 simple ingredients and a slow cooker! 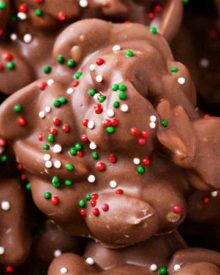 At a time of year when holiday baking is in full swing, take things easy on yourself and make this incredibly easy Christmas crockpot candy! Nothing fancy, just 4 ingredients (plus sprinkles) and a slow cooker. They’re great for the holidays or to give away as a gift! I would be willing to bet that you’ve heard of these candies before. 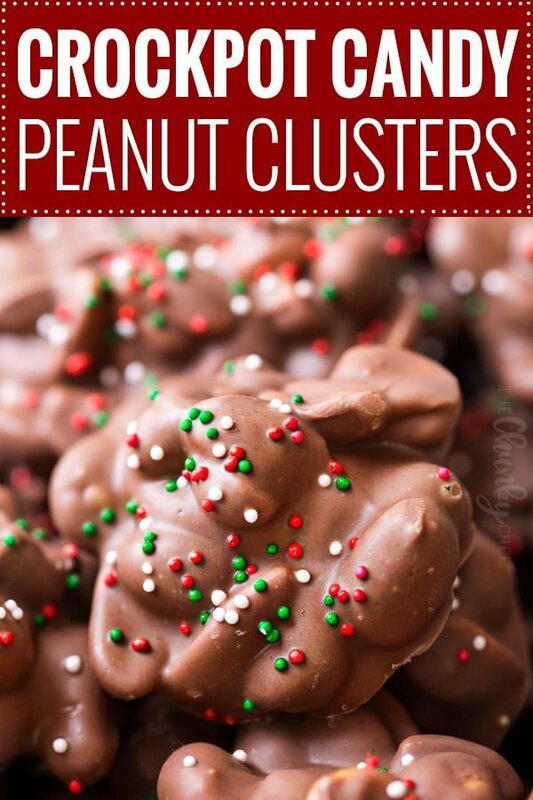 Maybe your Mom made them, you saw them at a holiday party, or someone gave them as a gift. They’ve been around FOREVER, and I almost didn’t post them… since not only are they pretty popular already, but they’re also incredible simple! Homemade candy has never been easier! Just 4 ingredients and a few holiday sprinkles… that’s all you need. There are a bunch of variations of these, but I’ve got a few tips and tricks to share with you that make these even easier! Use great quality chocolate. Since you’re only using 4 ingredients, you want them to really be good quality. Even though these look like milk chocolate, you need to use plenty of white almond bark. It seems counter-intuitive… to use the entire 2 lbs of almond bark, when you want a rich, chocolate treat, but trust me, you need it. The almond bark not only adds great flavor, but it plays a big part in helping the candies set up and harden. Place a clean, dry kitchen towel over the top of the slow cooker and place the lid on top of that. When you cook anything in the slow cooker, water condensation develops on the inside of the lid, and when you take it off, it drips down into the slow cooker right? Well water and melted chocolate DON’T mix well. It can potentially seize the chocolate! The towel catches that condensation, leaving your smooth melted chocolate in perfect condition. Add your peanuts in at the end. Some recipes call for everything to be added all at once, but the peanuts don’t need that time in the slow cooker… they’re already roasted. Line a few baking sheets with wax paper (parchment paper works too), and use a spoon or small cookie scoop to drop the candy into clusters. 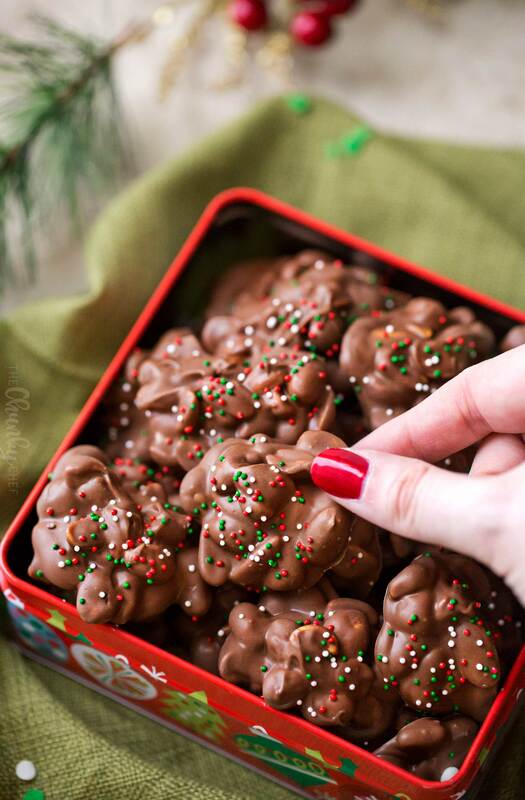 If you’re sprinkling the clusters with holiday sprinkles, don’t scoop more than 8 or so before going back and adding the sprinkles. You want to add them when the clusters are still melted, and they’ll harden after a little while (which means the sprinkles won’t stick). If possible, refrigerate the candies (on the baking sheets) for an hour or so, until hard. If my refrigerator is low on space, sometimes I put the baking sheets out in my garage on shelves (when the weather is cold of course). Technically, the candies will set up even at room temperature, but I like to help that process along by refrigerating them. I know that seemed like a lot of tips and tricks for a recipe I keep saying is easy… but I swear, it really is! I’ve always stayed away from making homemade candy, since I always thought it would be really complicated. But these are absolutely a staple in our household around the holidays… because they’re so simple to make, a child can do it! The traditional nut to use here is peanuts… specifically dry roasted or cocktail peanuts. I like to use a mix of both types. But if you’re an almond fan… try using those. Cashews? Go for it! 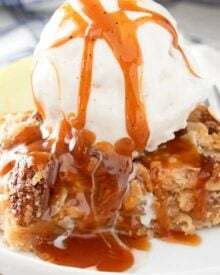 Maybe even go for a mixed nut combination! Whichever nut you’re using, make sure they’re pre-roasted. This isn’t the time to use raw. Just like you can switch up the nuts, you can switch up the decorations too. Use red, pink and white sprinkles for Valentine’s Day, or little shamrocks for St. Patrick’s Day. The sky is the limit! WHY DO I NEED TO USE A SLOW COOKER? Well you don’t HAVE to… but I think it’s easier in this case. 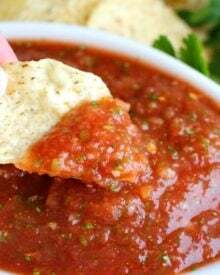 A slow cooker allows you to make a big batch, and melt it evenly… plus you’re able to keep it warm while you scoop out all the clusters. Alternatively, you could melt everything in batches in the microwave, or in a big double boiler, but I really feel the slow cooker is the best option. 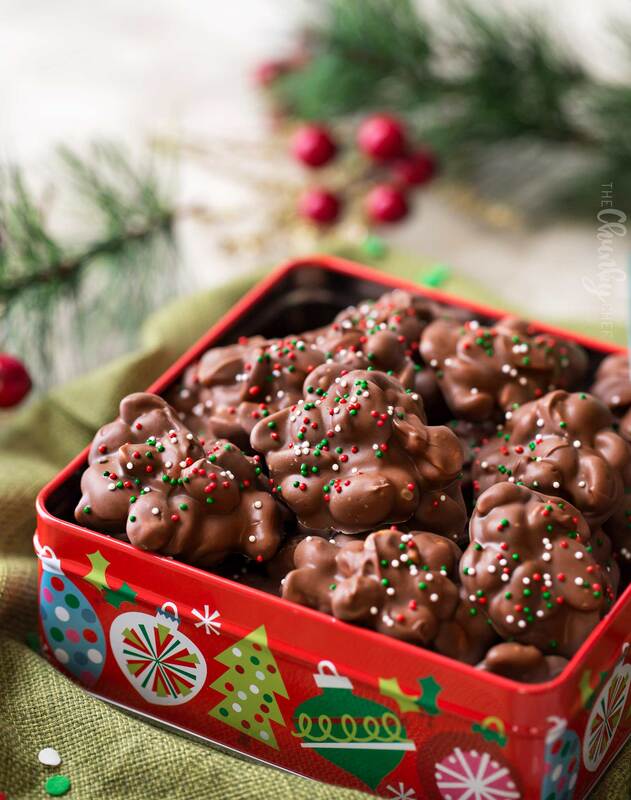 This holiday season, give your oven a break and try this Easy Christmas Crockpot Candy! It’s perfect to make for your family, for a party, or to give away as gifts! 4 quart slow cooker – The actual model I have is no longer readily available, but this is an excellent alternative! Small cookie scoop – I use this for meatballs all the time, but it’s also great to use for this candy! Holiday gift tins – This is the first year I’ve used these, but I’m in love! 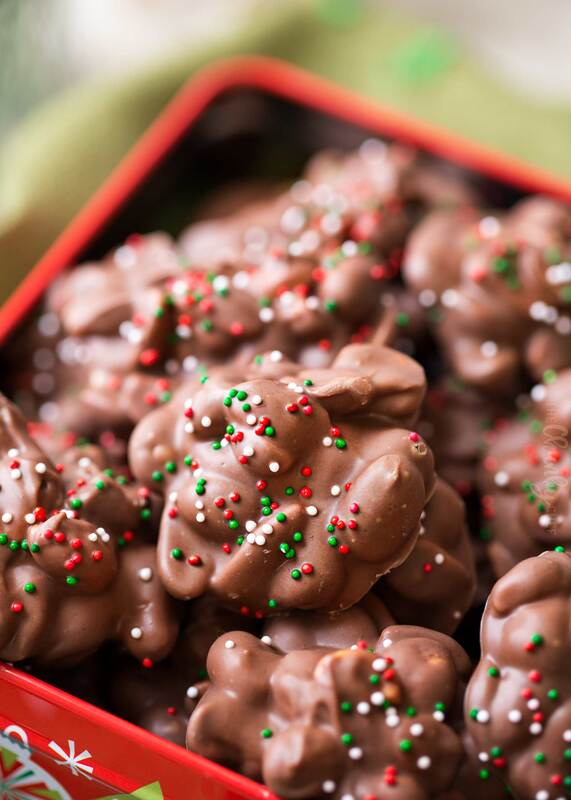 WANT TO TRY THIS CROCKPOT CANDY? PIN IT TO YOUR HOLIDAY OR DESSERTS BOARD TO SAVE FOR LATER! 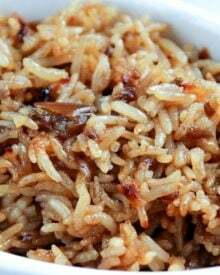 If desired, spray slow cooker insert lightly with non-stick cooking spray. Add chopped almond bark, chocolate chips and German chocolate. Place a clean, dry kitchen towel over the top of the slow cooker, then place lid on top of that. Cook on HIGH for 1 hour. 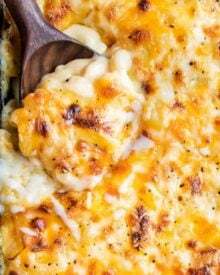 Reduce heat to LOW, and cook 1 more hour (or until fully melted), stirring every 15-20 minutes. Remove lid and towel (be careful not to let any condensation drip into melted chocolate), and add peanuts, stirring well to combine. Line several baking sheets with wax paper. Drop candy mixture by spoonfuls onto wax paper (or use small cookie scoop). 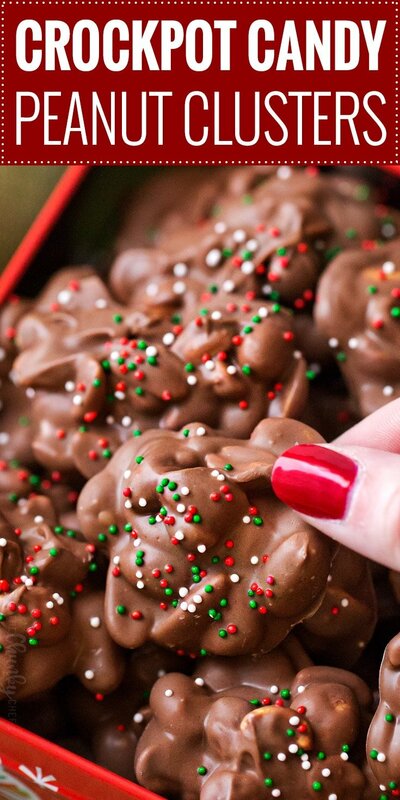 If using sprinkles, sprinkle onto clusters before they harden. Refrigerate (if possible) 30 minutes to 1 hour, until set. If unable to refrigerate, let stand on counter at room temperature until set. Store in a cool place in an airtight container. Do you use salted or non salted nuts? Do I avoid stirring for the first hour on high heat? You can stir if you’d like, I just never need to. 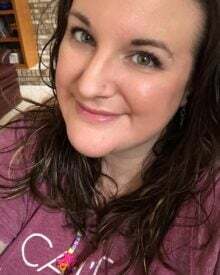 Loved the crockpot candy. Have given most of it away and everyone loves it. Very simple to make. Can you double the recipe in the same crockpot or should it be two separate batches? If you have a pretty large crockpot, you can double it. If your crockpot is anything smaller than a 6qt size, you’ll need two separate batches. You can keep them at room temperature or refrigerated. They’ll be a little softer at room temperature, depending on how warm you keep your home. 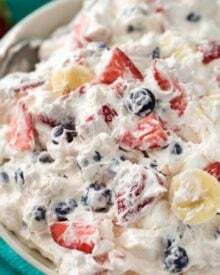 When my kids were little I made something similar to this, but mine had maraschino cherries in it. Do you think they could be stirred in at the end just before scooping on to wax paper? I think that would work, just make sure they’re drained really well. Any possibility incorporation Hershey Kisses into the chocolate mixture? 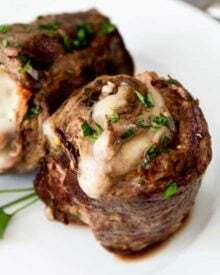 If so how to adjust recipe? I’ve never tested the recipe that way, so I can’t say for certain. 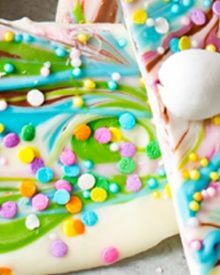 Can you use chocolate almond bark instead of the the white chocolate? Hi Bobye 🙂 I’ve never made it that way, although I think it should be okay. Yes, it’s a slow cooker recipe so it’s designed to be made in a slow cooker. I have GOT to try this! I Wonder if it would work in the instant pot?! Time to pull out the slow cooker! Yummy! The perfect holiday gift! I love it! I’ve been trying to decide what to give the teachers this year. This is perfect! These are my absolute favorite type of candy! Now that I’m going to be making them at home, I’m going to need to up my willpower not to eat all of them in one sitting, haha!